The twenty-six ink on paper works that comprise Galerie Stephanie’s major year opener Sanso Noir reveal a lot about the master’s technique, as well as aesthetic. Composed mainly of monochromatic floral works and seascapes, the exhibit showcases the essential compositional and technical elements of two of his most popular series, and allows us to peer through them beyond the bright colors, to see these series’ strong foundations. Wispy, detailed, graceful, and full of movement, the floral works reveal that the series relies not only on Sanso’s mastery of the brush, but more importantly, on the art of the monoprint. The series ranges from works which may likely be from between the 80s and the 90s, when, with confidence, Sanso had amassed enough acclaim and recognition to come out with such bold statements as to show the public flowers and plants devoid of color — often the most definitive characteristic of the genre. Each work shows the artist’s mastery over his technique, as no errors or hesitation can be seen; a product of mastery through repetition; much like a concert pianist would have in performing their perfunctory arpeggios, necessary in their practice for dexterity and precision. The roughness and solidness of rock, the movement of the waves, and reflection of light over water are suggested by the brush strokes more akin to Chinese painting, with its techniques of loading ink, dragging brushes of different widths and shapes at different angles, over and above the repertoire of strokes used in European watercolor techniques. The composition is decidedly horizontal and even layered; more closely related to an Asian perspective, than the vanishing point of Western art. The works are obviously developed from the en plein air sketches of Sanso of the coasts of Brittany, France, which he religiously did over the course of 25 summers. 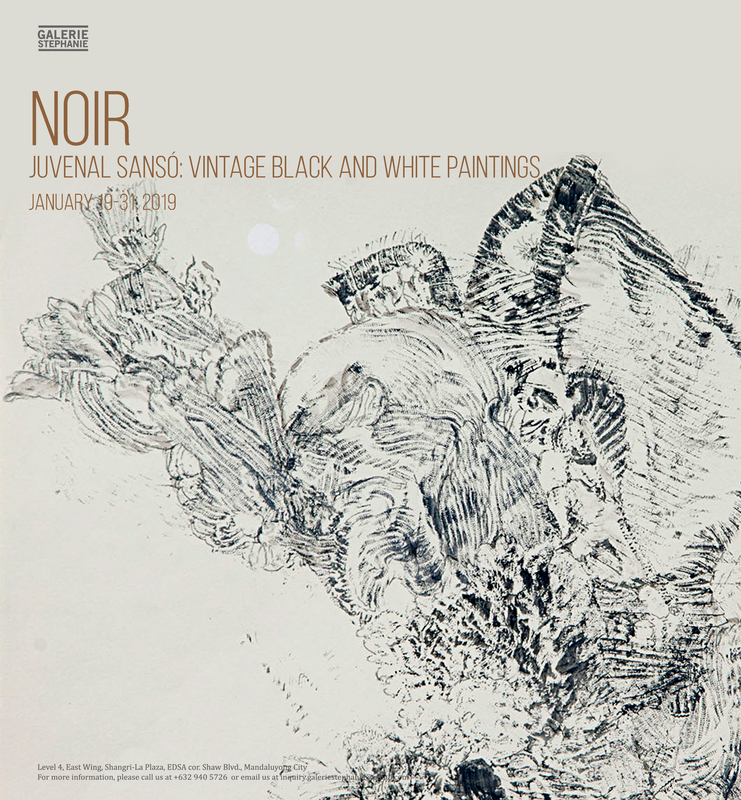 Sanso Noir is a tell-all to those willing to look and examine the works. Its wealth is not just in the beauty of the artworks, but of the revelations in black, about the master and his work, which this exhibit contains.